It is an emotional and exciting time when you are expecting, especially when it’s your first baby. As a woman, you experience a lot of changes in your body of while many are perfectly normal. It turns out to be healthy pregnancy for most of the women. You should always be careful with some symptoms during your early pregnancy. For example, nausea, bleeding and vaginal discharge are usual things. Yet there are chances that it could create a big problem. You should always consult a doctor whenever you feel that things are going beyond normal. You should never neglect such symptoms as these could be the indication for something bigger that awaits ahead. Following are seven such indications when you should consult the doctor if you wish to keep your baby and yourself healthy. What trong>What does it mean? Some spotting is normal, but heavy bleeding could be a sign of miscarriage or ectopic pregnancy, the brighter red the bleeding, the more significant it is. Some doctors even say that, "If you have bleeding and bad cramping similar to period cramps, this can be a sign of threatened miscarriage." "If this is coupled with sharp, lower abdominal pain, it may be a sign of ectopic pregnancy," a serious complication that occurs when the fertilized egg implants outside the uterus, usually in the Fallopian tubes. Call your doctor. She/he will likely do an ultrasound, an exam, and some blood work based on your symptoms. Mostly spotting or light bleeding is usual, but you don’t want to ignore it if it is associated with cramping, heavy bleeding, or abdominal pain. For most women during their first trimester, it is normal to have some nausea and vomiting. But if you cannot keep yourself hydrated for more than 12 hours, call your doctor without wasting time. According to experts,Vomiting that interferes with your day-to-day activities can lead to weight loss, dizziness, dehydration, and an imbalance of electrolytes. Talk to the doctor about everything you are going through. You may need hospitalization to treat the dehydration, and many medications are available to control nausea. Nausea and vomiting are normal occurrences during pregnancy, but the extremes can cause problems. The majority of women who have nausea and vomiting during their first trimester will go on to have normal, healthy pregnancies. For a pregnant woman it could be critical, If the body temperature goes higher than 101 degrees Fahrenheit or 38 degrees Celsius. She could be infected, and which is not good for the baby. If she has fever, rash and joint pain at the same time, then it could be cytomegalovirus (CMV), Toxoplasma, and parvovirus.CMV are the most common cause of congenital deafness, and it is not as uncommon as we think, hence it must not be taken lightly. Report any fever plus upper respiratory symptoms, like body ache, fluor rashes and joint pain to your doctor. Must consume yearly flu vaccine. Vaginal Discharge is usually not a threat. However, sometimes these may be the signs of treatable infections or sexually transmitted diseases that can have adverse consequences in pregnancy. If it's an infection, it can definitely harm the baby. 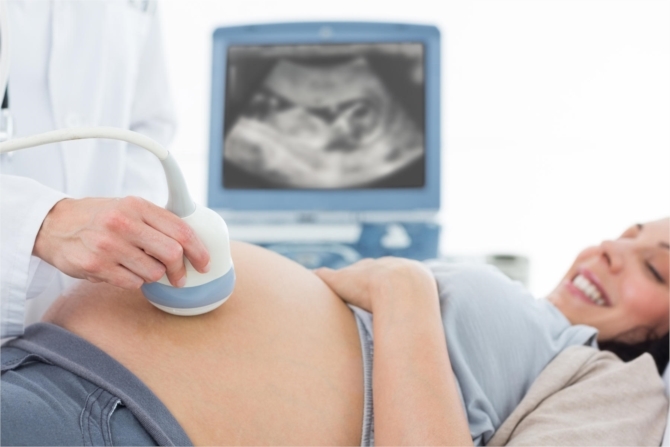 You should truthfully confess all the problems to your ob-gyn to avoid the situation where the baby is harmed. These can be signs of bladder or urinary tract infections, and if left untreated, they can lead to more serious illness, infection, pre-term labor, and pre-term birth. If it is infected, then it can be cured through treatment and lead to a healthy pregnancy. Chances are very few to for this to occur. Yet it could develop a blood clot. There can be pain or swelling in case of a blood clot in the calf. It can turn fatal if travels to lungs. A severe headache is the sign of a blood clot in the brain. There can still be many other reasons for headache during pregnancy. In case of a severe headache and a history of blood clots then need to immediately consult the doctor. Pregnant women with pre-existing medical conditions -- such as thyroid , diabetes, high blood pressure, asthma, and/or lupus – must keep checking for any changes in their condition. The disease contracted not cured completely, and then can cause serious consequences for both, mother and baby. if the thyroid hormone is too high or low, one can be at an increased risk of miscarriage, or, if your blood sugar levels are not tightly controlled, one may be at increased risk of miscarriage or fatal abnormalities. Any flare in an underlying condition is a red flag and should be followed up.